Terrible day for Ontario. 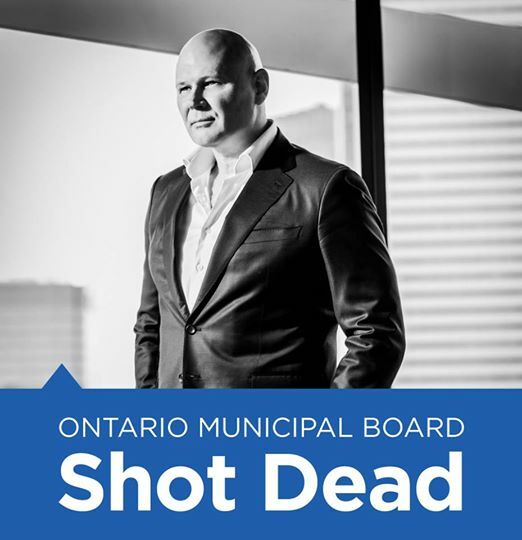 The Wynne government is going to neuter the Ontario Municipal Board. When councilors, city planning, or ratepayers took issue with a development, the OMB was the last venue for dispute. It was staffed by reasonable people with a good understanding of the issues at hand. Despite what NIMBY ratepayers believe, the board was fair and often did not agree with developer’s development proposals. It wasn’t hysterical or personal, it followed provincial policy for land use. Sometimes following that policy was unpopular with ratepayers. Many citizens of this city have an allergy to height and density. There exists a huge level of selfishness for the status quo. Unfortunately, the policy of NIMBYism will be the death of Toronto. Over the last 19 years we have created a vibrant, wealthy, exciting city with so much to offer and so much success. The “powers that be” have taken all of that for granted and done a great disservice to Toronto and ultimately this country. The system wasn’t broken but it sure is now. What the Wynne government has done is put all the power in the hands of the rate payer. Others will tell it differently, but if you truly break down the process, hysterical NIMBYs have likely won the day. Do we believe that the ratepayers have the best interest of the city at heart or is it just selfishness disguised as concern for the city’s future? I fear that development will be made much more difficult and real estate prices will continue to climb to the moon. Congrats on another wrongheaded policy.